About Jessa The Hoodoo Honey of The Real Witches | Broomsticked The Life and Times of a Real Witch. She is globally recognized as a co founder of The Real Witches ,alongside Psychic Medium Erin Renee. Visit My Shop on Artfire, Love Spells, Fast Money Spells and more! Just got this! 🙂 Need to keep up on my blog more! Yes but that spell is 49.99 Hun, I’m sorry. That’s a older address sorry, must of been a older post! http://www.Broomsticked.Artfire.com is my shop and it has a contact me button! hi cant find anything about love spells in your shop 😦 can u tell me if you are able to cast them and do u need to do a reading beforehand? tranquil spirit, santisima muerte & chango???? No hun, not how I personally work. I am a white magick eclectic witch, do a bunch of stuff different ways, but not with those particular energies, spirits etc. Sorry! I have just been looking through your love spells and a lot are unavailable? is this true or is it a website error? Which shop ? Etsy banned spell castings , but most should be on the Artfire shop. Hi Jessa. I’ve been reading alot about you and listening to success stories on youtube. I have a question.I recently been on a hunt for a real witch. So i gambled with sellers on Ebay. I purchased a break up spell first then second I purchased a Obsession spell. Of course they were cast for me at least its what I’ve been told. Well now it seems my love and me are arguing everyday as if we are breaking up. This gave me the thought to let him go as much as i love this man. Well as soon as I had the strenght to do so. I felt a strong urge to see him stay with him and even visit his job as if im the one who is obsessed. Well sure enough I checked my mailbox and there was the item I ordered. The obsession amulet. He still seems distant while I’m going nuts out my mind. I’ve had two panic attacks I never had those before. Please tell me has the spells been reversed onto me is this possible? This can’t be a coincidence I feel so awful. This man is now 95% of every thought I have. You have to remember all spell work really is, is a energy sent out to amp up or influence emotions etc. He may not be comfortable being obsessed with someone, hence his pull away, most likely it will wear off since it’s not his will to be obsessive. I don’t do anything but white magick, so no break up or obsession spells, very few ppl can really handle the energy of them, I offer a addicted to me which is a white magick version, but I wouldn’t put anymore energy out till he’s done pulling away, some ppl just don’t not like feeling unexpected emotion suddenly and it’s not that the spell reversed, sounds like you found a great caster, just wrong type of spell on a person not fond of surprise heavy emotion. When casting love spells…look at your target..how do they handle intense emotion..if you know they pull away or run, then most love spells may give you trouble. Have to spell it out or spam bots will get it. That’s not my payment address just contact me there! Not sure if you’ll receive this but I’d like to know if you could do some work for me? Yup come by my shop and browse and message me there ! Hi I was wondering can one of you love spells work even if I have never met or seen this person? I was interested in a love / love binding spell. Could you casted this for me? And if so what would I need to do and how much does it cost?? 24.99 to 49.99 most are 24.99 http://www.Broomsticked.Artfire.com Thank you! Have to say great work ! What is the best spell choice if they are in another relationship ? Would it be best to go for the contact me spell and ex back as well ? Yes I agree with you, sounds like a good combo of spells! The contact me just to get that going then the return ex lover to attempt to win her back! Yes I’m interested in your love spell to return a lover. I know he still loves me, he says he does, he says he feels like it’s not over between us. He tells me that we jus need space right now and that if we do try again he wants it to be for good. But right now he can’t see a relationship with me. He’s confused and has all kinds of emotions. Oh wait no It didn’t go through, message me through the shop! In October last year, I upgraded a classmate named Honoka from a best friend into my crush after my last crush got a boyfriend and eventually I lost my infatuation towards her. Honoka at that time suffered a break up from my closest friend, I secretly thought that it was finally my time to steal her heart. However, the weekend after the break up, she had a new crush, few days later when she told me that she was getting dissatisfied with her new crush, I all of sudden confessed my love for her, and she rejected me and I got friendzoned. It later cause me to gradually start getting clingy and aggressively chasing her. There was even this one time when she rested her head on my shoulder while we were on the train which was amazing despite me being in the friendzone. Things started to take a serious toll by the end of November, I ask her out and she refused it at the last minute. By the time December came, our friendship has been completely damaged, I acted clingier than ever and she acted more and more cold and distant to me, I later apologized to her few days before the Christmas came and she accepted it. By the start of 2017, our friendship gradually healed, she currently dating another guy and our friendship continuously recovered by the beginning of sophomore year. However 2 months later, our friendship would suddenly come to an end, it was devastating but I really really want her to be girlfriend since I never had a girlfriend before. 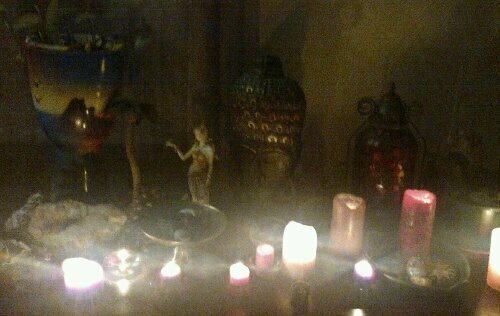 I tried casting a love spell by myself using red and black candle but still having a lot of struggles. I want that closeness that I have with her to come back and come to the point that she would finally have romantic feelings for me and be my very first girlfriend. I tried different spell casters but nothing happen. Please Please help me!!! I have a better easier student learning spell helps focus and retention of knowledge at the shop and the ideal job drawing is at the shop .. for driving I don’t have one, maybe the confidence spell. Think I just saw a order from you be right with you. Gotta go get kiddos and start dinner ! You helped me years ago with a Dominican witch problem. Today I have an urgent situation where my brothers wife has made some serious false allegations against him we need some down and dirty … intensive supernatural intervention. Hi Jessa, I emailed you and sent message on artfire. I want to order, but need questions answered. Can you get back with me? Do you still take orders? Hope you will reply soon, sorry for impatience, you just seem so great and I want you to cast for me. I purchased a money spell , when will it be cast and how long does it take to have an effect? Thanks. Time frames are in the listing and if sent info as instructed in the listing it would of been cast!